Going to the doctor in Japan can be a mixed experience, especially if you don’t speak much Japanese. Japan has a “hybrid” healthcare system, meaning that the government pays for 70% of costs (or more if you’re a low-income elderly resident) and the remaining 30% is covered by private health insurance. People either buy their own or have employer-sponsored insurance. 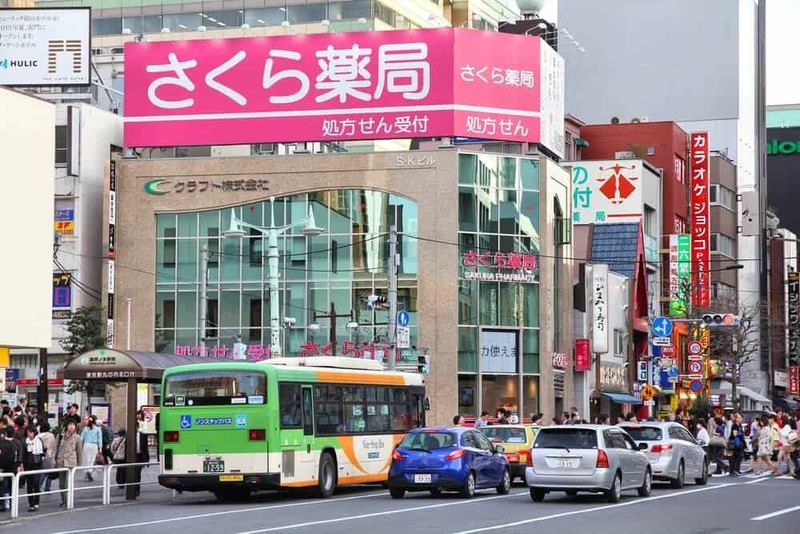 On one hand, because of the way the healthcare system works in Japan, you can easily walk into any clinic or hospital without an appointment and be seen. This means that going to the doctor in Japan is usually cheap and convenient. On the other hand, you might have to wait a while, depending on how busy it is (and believe me, you can be there a while). The language barrier is enough to give you a headache and can make you feel worse than you already are. But armed with the right phrases and your 保険証 (“hokensho” or insurance card), going to the doctor in Japan can be a breeze. 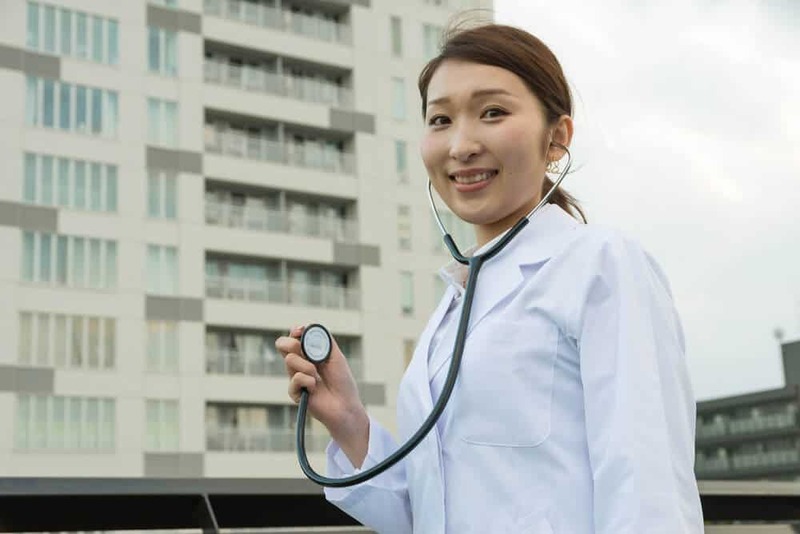 There’s one thing you should know about going to see a medical professional in Japan. It’s completely normal to go to the hospital for minor ailments, or even for a check-up. Unlike other countries like the United States, going to the hospital doesn’t mean that you have a serious injury or illness. 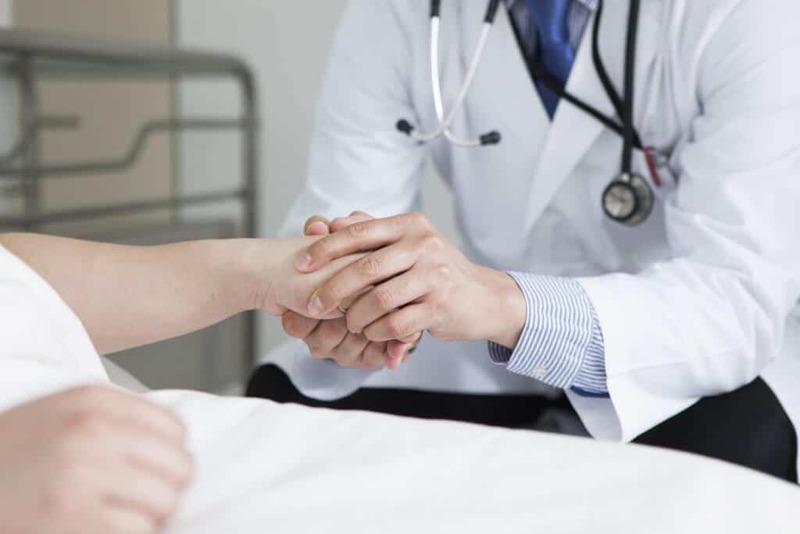 In fact, even small clinics or private doctor’s offices can be referred to as hosptials. In Japan: Going to the hosptial usually means the same thing as going to the doctor. First you’ll have to find a place to go. English: Where is the closest hospital? English: To the nearest hosptial, please. English: I’d like to be seen by the doctor. English: Is this your first time (to visit this hospital/clinic)? English: Yes, it’s my first visit. You will be given a form to fill out if this is your first visit. This form includes basic information such as your name and address, but might also ask you about your medical history (history of illness, allergies, etc. ).You might try asking them if you can fill it out in English. Sometimes it’s ok, and will save you a lot of trouble. If it’s your first time, or it’s the start of a new month, you’ll be asked for your health insurance card. English: Do you have your insurance card? / Your insurance card, please. If this is not your first time, you will also be asked for your 診察 券 (shinsatsu-ken), which is like your ID card for the hospital. You usually receive this card from the reception after your first visit. 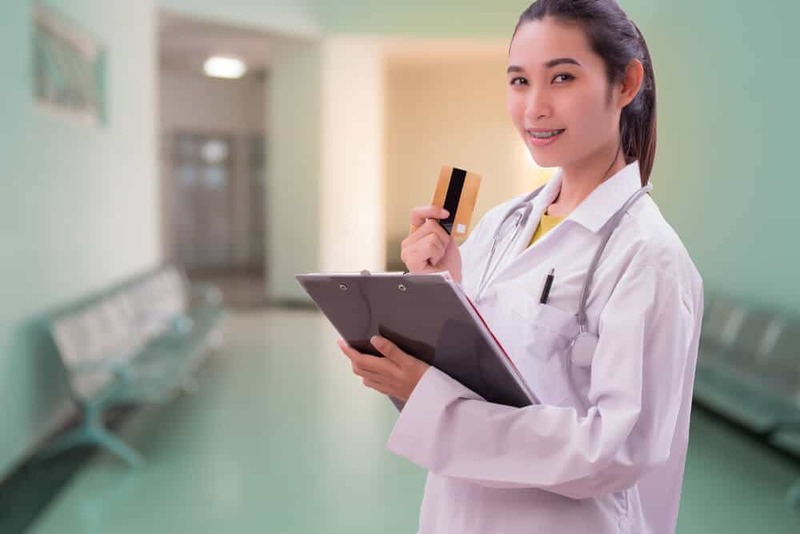 That way, the next time you go to that hospital/doctor, all you have to do is show them that card (and health insurance card) and they’ll be able to look up your information. English: Do you have a fever? If you do have a fever, you might be directed to a different, separate waiting room in case you have the flu or some other highly contagious sickness, so it’s good to mention it early. Then you’ll either take a number and wait for it to be called, or if you’re at a smaller clinic, a nurse will call you by name when it’s your turn. Once you’re in the 診察室 (shinsatsu-shitsu “examination room”) with the doctor, it’s time to describe your symptoms. English: What brings you here today? Here are some useful phrases to know during the examination. If you need one, the doctor will write you a prescription, and you’ll head back to the waiting room to be called again. Once called, you’ll pay for the visit, get your prescription, and be on your way. Next, you’ll head to a pharmacy to get your prescription filled. 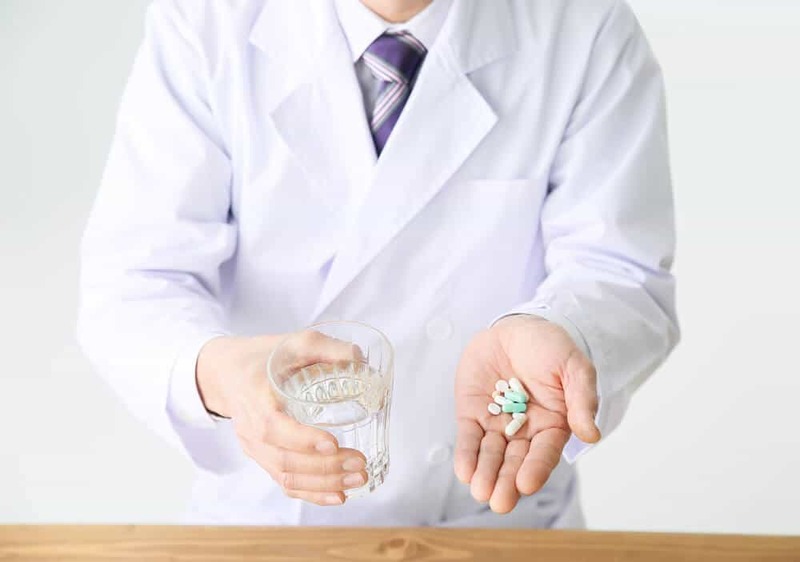 The term for pharmacy is 薬局 (yakkyoku), but not all of them will fill prescriptions, so definitely look for the kanji for “prescription.” Pharmacies are often located very near to doctor’s offices or hospitals. The nearest pharmacy might even be next door to the doctor you just visited. You’ll hand your prescription paper to the receptionist and wait for your name to be called. 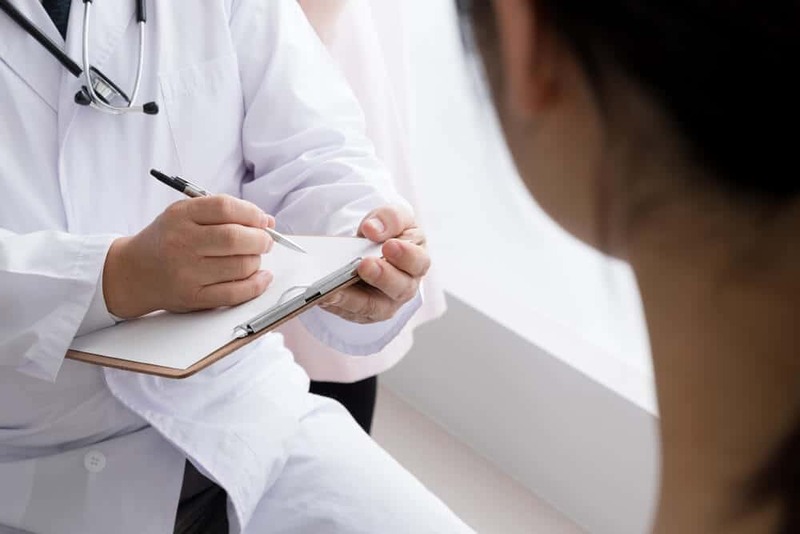 Just like with a doctor, you may be asked to fill in a form the first time you visit (or if you haven’t been back for a long period of time). 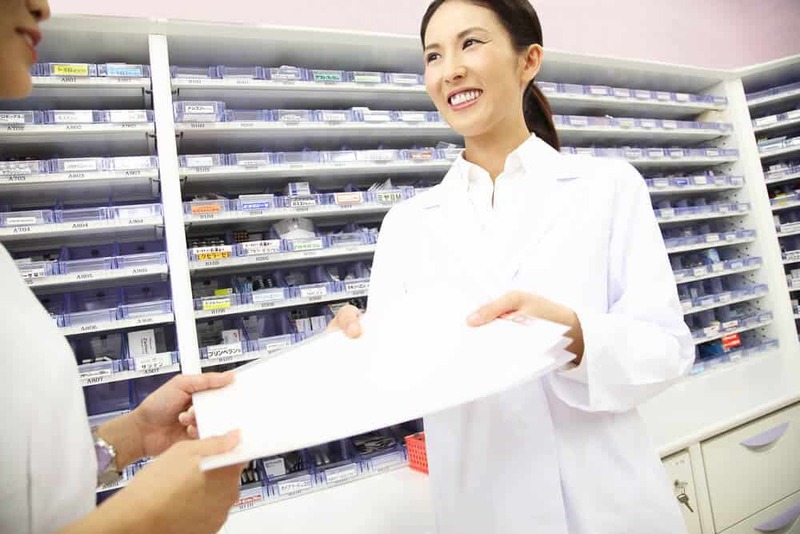 Many pharmacies also give you a registration card and a medicine history book. The registration card acts as an ID for your account, so the next time you go, you can just had them this card. The medicine book that they give you lists all of the prescriptions you received from that pharamacy. No need to book an appointment (for most places), and no need to travel very far, since there’s probably a clinic or pharmacy right around the corner from you, if you live in a big enough city. Just pick one you like and walk in. That being said, many hospitals and doctor offices have online scheduling systems. I highly recommend you make an appointment if possible. Also, some places offers online queuing, where you can place yourself in a numbered que online. You can then see what number in the queue you are, and head over to the doctor accordingly. If you’re in a big city (Tokyo, Osaka, etc.) there is a very good chance that you can find a doctor who speaks English. Some doctor’s even have their website in English. Japan’s healthcare system is very inexpensive, especially when compared to other countries. Prescription medication is usually also inexpensive, so going to the doctor isn’t a financially stressful experience like it can be in the U.S. But with a language barrier, it’s daunting to take advantage of this amazing healthcare available to everyone. 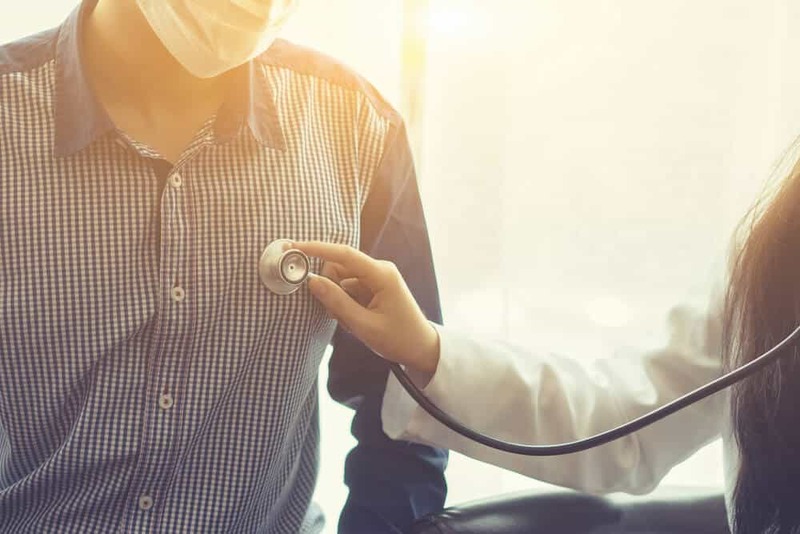 Hopefully you’re now equipped with enough language to talk to your doctor and have a smooth experience at your next hospital visit. Do you have experience visiting a doctor in Japan? What are some useful phrases you would share with your fellow travelers? International Kindergarten Jobs in Japan: Worth It?